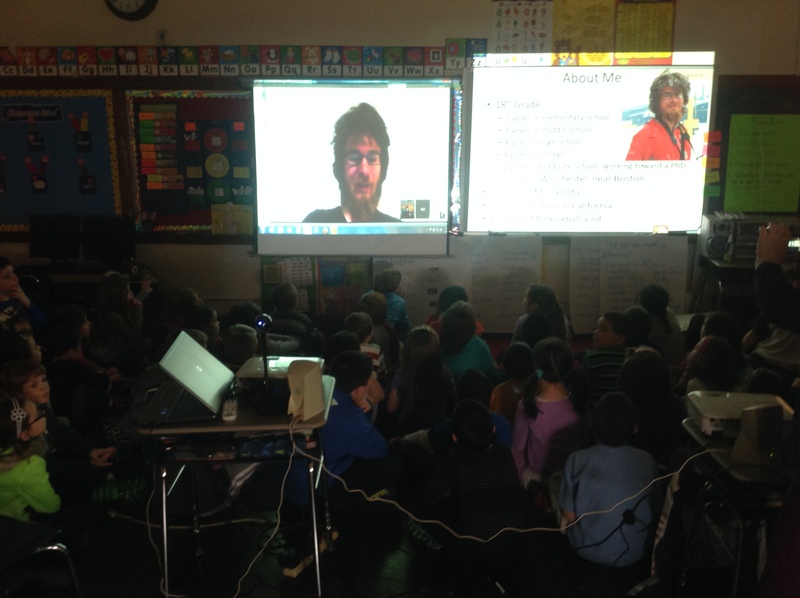 On Tuesday, February 4th, second graders from all three elementary schools participated in a live science lesson from a scientist stationed in Antarctica. Neil Foley – a Winchester native and cousin of Brookside students Ryan (grade 2) and Joseph (grade 4) Rhodes – is working on his PhD. and took time out of his busy schedule to teach Dracut students about his work at the bottom of the world. The project was originally something Ms. Riordan (grade 2, Brookside) was arranging, but ultimately became district wide experience.